Beautiful and yes…I will. So sweet and lovely. I bet they look wonderful. Pictures please. I don’t think we have any of those, even at the Garden. Do they have a scent? The fragrance is very slight. 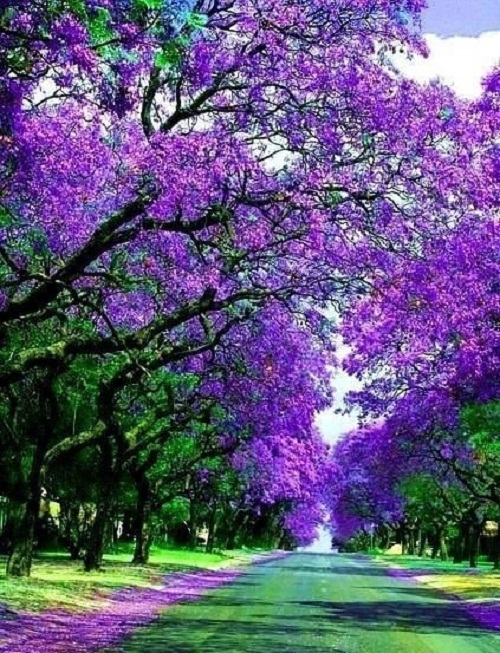 Here is a picture from google images of some beautiful jacaranda trees in full bloom! So very beautiful! Thank you for this amazing picture. I can’t believe how gorgeous they are. Ahh, all is revealed. I’ve been know to dance naked through the trees.